Every year around this time, we put together a list of the top shows we feel really pushed above and beyond and had a year for the ages. As a TV fanatic who watches way more programs from start to finish than many people could probably imagine finding time for, this list is always difficult, but I can’t remember a year before this one where it was this difficult to cull together a top 10. There’s so much great TV out there—as FX President John Landgraf is fond of saying, there’s too much TV out there—and comparing a drama to a comedy and a new show to one that is struggling through a sophomore slump was especially difficult this year. So, without further ado, here are my top 10 TV picks for 2015. Among them are a couple of brazen comedies, a series that is quietly thoughtful, a few fantasy dramas with beautiful costumes and one USA series with one of the tightest first seasons I’ve ever seen. If you don’t agree with my picks, maybe you’ll have a bit more luck with Nick’s. South Park typically has a few memorable episodes each season, but Season 19 actually features 10 carefully plotted and masterfully written episodes that poke and prod at PC culture and encourage plenty of laughs. 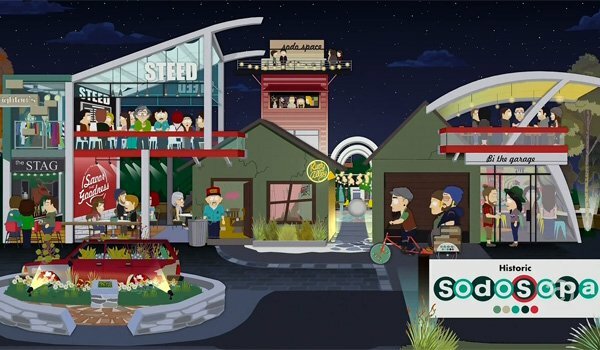 South Park struck gold when the show started featuring more continuity between episodes, and Season 19’s repeated nods at Internet bullying, getting a Whole Foods in a small town, luxury condos, charity shaming and so much more are all timely and hilarious. If you haven’t caught South Park in a while, Season 19 is the one to watch. Togetherness is a quiet but wildly emotional comedy that hits high and low notes and makes us chuckle as often as it makes us cry. Sounds really fun, right? (Sarcasm.) Actually though, it kind-of rocks, thanks to performances from Melanie Lynskey, Amanda Peet, Steve Zissis, Mark Duplass and more. What I like about Togetherness most is that it feels like it is about real people. Real people who take their kids to the beach and get drunk with friends while playing games in the park. They can be selfish, whiny and soul-searching people, but they ring true nonetheless. Plus, the cliffhanger Togetherness ended its first season on left me wanting more. I’m glad Showtime stuck with Ray Donovan despite the fact the series wasn’t perfect right off the bat. 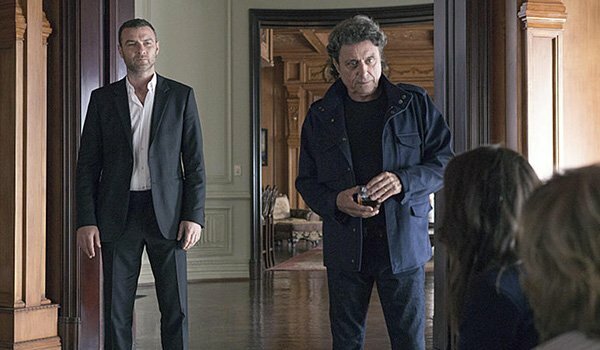 As it turns out, Ray Donovan gets better as it ages, and the Liev Schreiber series finally gets it right with its third season. Much of this is thanks to some heavy lifting by John Voight, who gets into a brand new business in Season 3, but the show is finally starting to get its titular hero, too, as Donovan is still generally a badass, but one who isn't invincible and even gets cornered into a gig he doesn't want to take. Ray Donovan’s third season is striking, and it deserves a place on this top 10 list. 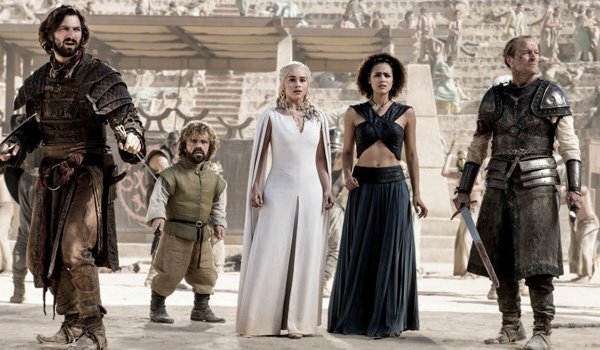 Game of Thrones was certainly one of the most talked-about series of the year. The summer finale of the drama left us on several cliffhangers, and the one surrounding Jon Snow has kept the internet busy in the months subsequent. Luckily, Game of Thrones has as much prestige as it has popularity, and I’m still thinking about the complex politics behind that walk of shame and much more months later. Season 5 was certainly not the HBO drama’s finest, but it’s still one of the best scripted and most complex series on TV, and manages to be entertaining despite the lofty adjectives that can be ascribed to it. Now in its second season, Jane The Virgin has milked a love triangle for all that it is worth. This sounds incredibly cliché, but the thing about the CW drama is that it is always winking at what is cliché and spinning it into something else. The cheeky take on the telenovela that follows a young woman who is accidentally artificially inseminated and eventually has the baby that has been planted inside of her is one of the best comedies on television right now. Plus, the fact the CW gives the show an hour to flesh out its characters and story development gives the series some added oomph. Here’s to hoping 2016 is as wild for Jane as 2015 was. A perennial favorite amongst critics everywhere, HBO’s Veep just absolutely dominated on HBO this season. 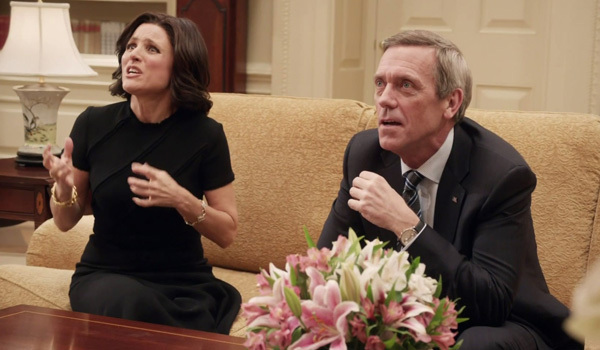 Selina Meyer is the President through all of this season, and works pretty hard to accomplish things while trying to get together her reelection party and platform. This leads to some hilarious subplots, including finding a Vice President to run on her ticket—which ends up going to Hugh Laurie’s Tom James, who is amazing. She’s also dealing with a pretty huge data breach that could prove to be her downfall. This one also left us on a reelection cliffhanger, because that’s apparently how HBO rolls. Starz has been creating fun period dramas with plenty of flair for a while now, with Black Sails and (the former series) Spartacus both helping the subscription cable network to grow more prominent in the original programming game. 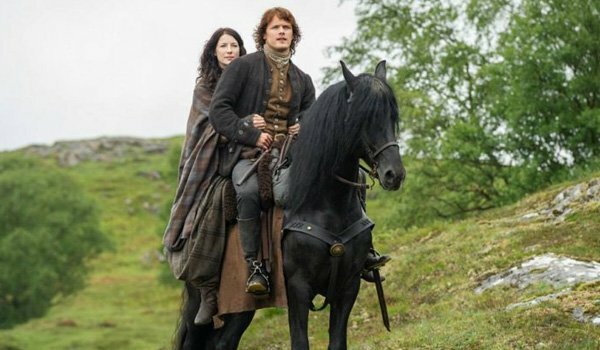 But its newcomer series Outlander adds time travel and an epic romance to the already excellent period shenanigans. Season 1 is a standout drama with a standout cast, set in the wilds of Scotland (although the show will be heading into Paris for Season 2). It’s an incredibly feminine series, so it may not make everyone’s list, but it's also an epic saga with infinite potential. Give it a watch. 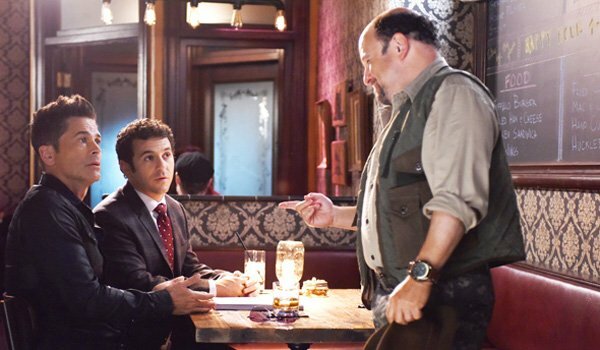 While a lot of comedies take a few episodes to get rolling, The Grinder has known what it is from the very beginning. The comedy offers a fairly flawless pilot that capably sets up the series without any big mistakes and since that time has been able to add on to and improve its basic concept to create something a little more elevated. The last few episodes before winter break have been incredible, delving into backstory and the world of Hollywood along with the shenanigans from brothers Dean (Robe Lowe) and Stewart Sanderson (Fred Savage) that we are used to. With only nine episodes under its belt, The Grinder has already cemented itself as one of the best comedies on TV. Let’s hope it stays that way. The sharp new hacker drama Mr. Robot kicked off on USA—of all places—this spring. 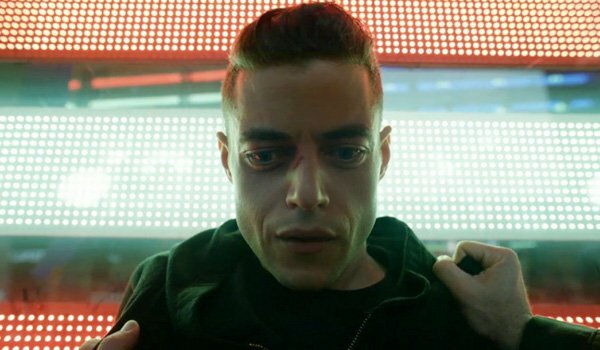 The series relies heavily on Rami Malek’s performance as Elliot, a young man who is dealing with dissociate issues and drug addiction, all while attempting to live a double live. He works at a corporation for a living. He hacks on the side. He’s weird and a little twisted, and his environment reflects that. Mr. Robot is a series about hacking, but ultimately it’s a series about a person’s psyche, much in the same way Mad Men was often more about Don Draper’s story than the advertising he dominated at. Its first season is compelling from start to finish and it deserves to be high on this list. Hopefully Season 2 will give us the same sort of experience. Holy hell, am I happy I waited until this week’s fall finale of Fargo to write this top 10 list. To give you a gauge for how fantastic the setup for the Season 2 finale of the FX drama is, the episode was good enough to keep this one ahead of Mr. Robot on my list. The nods to the future, the dialogue between Peggy (Kirsten Dunst) and Lou (Patrick Wilson) and the way the series left off with Lou’s wife, Betsy (Cristin Milioti), all played out perfectly, wrapping up an already compelling and stylish series on the perfect note. 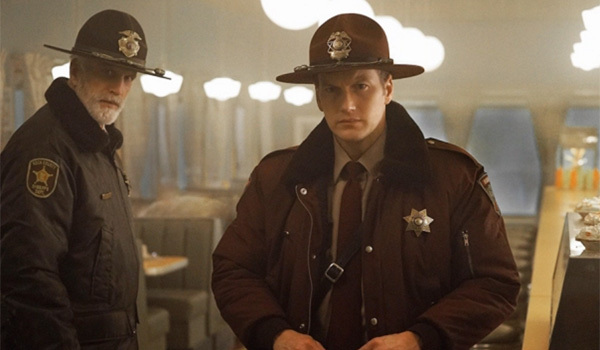 By putting together another stacked cast and adding a touch of the absurd—no spoilers--Fargo has managed to exceed its first season in a lot of ways, and create a world that feels the same but also totally different at the same time. It is hands down the best 10 episodes of TV I engaged with this year. You betcha. Photos courtesy of FX, USA, Fox, Starz, HBO, The CW and more.